One way to get involved with House of Ruth Maryland is to attend a fundraising event – a signature event like Spring Luncheon or Crabaret – or host your own event! It’s a great way to get rid of old clothes and household items while raising funds for victims of intimate partner violence. Show off your baking skills to benefit the House of Ruth Maryland. Teams will play against each other so encourage participants to create a team name and theme. Charge each team a $10-$25 entry fee and donate the money raised to help victims of intimate partner violence. Invite all your friends to a fundraising dinner (or Pancake Breakfast or Ice Cream Social). Charge a $5 entry fee or encourage attendees to donate directly to the House of Ruth Maryland. Encourage your co-workers, friends or group members to hold a photo contest. Place cans in front of each submission and have people vote by dropping coins or dollars into the appropriate cans. For a $5 donation to the House of Ruth Maryland, let employees wear jeans or casual clothes for a day. Host a movie night at your house, church or center. Sell baked goods, snacks or popcorn to raise funds for victims of domestic violence. Insert Your Own Creative Idea Here! To get started, contact Cassie Kelly at volunteers@hruthmd.org or by phone 410-554-8449. 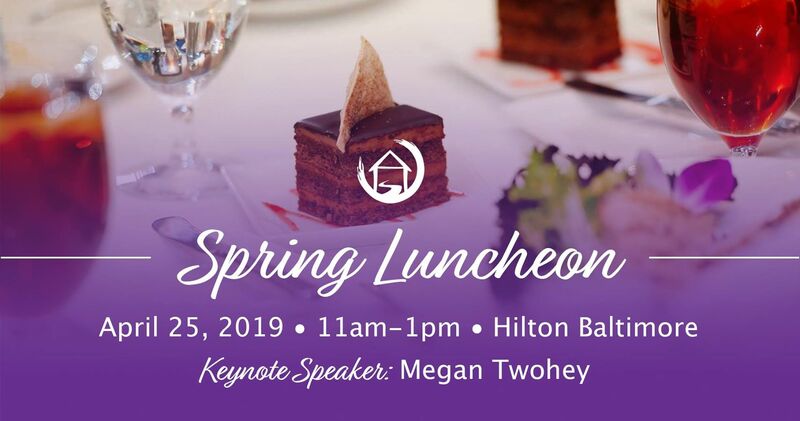 Join us at the Baltimore Hilton on Thursday, April 25th for House of Ruth Maryland’s 18th Annual Spring Luncheon, featuring this year’s special guest, Pulitzer Prize winning journalist, Megan Twohey.